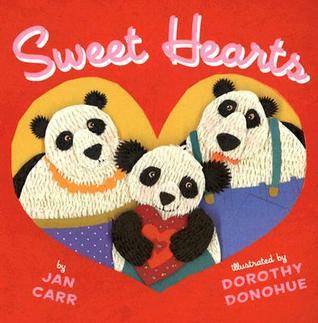 Sweetest Day, a day to show your love for your sweetheart… and a celebration of sweet picture books! 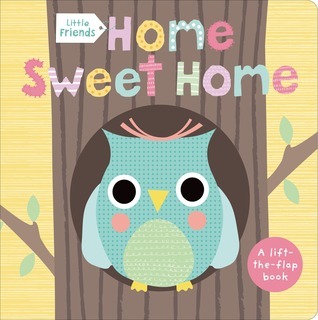 Baby Owl takes little readers on a lift-the-flap tour of forest, river, arctic, and mountain to see what animals live there. Then Baby Owl returns home to the nest she loves best. 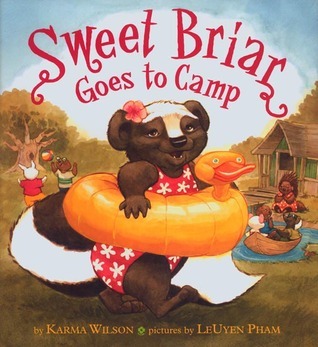 Sweet Briar is a skunk who is afraid no one will like her at summer camp. But what she finds is that no one will play with Petal the Porcupine because she has sharp spines. Petal is funny, she has a great singing voice, and she has a nice smile. Sweet Briar feels sad for Petal but she doesn’t know what to do, and she doesn’t want the other campers to think she’s weird for liking Petal. Finally, Sweet Briar thinks about how she felt the first day of camp when she was worried that no one would like her, and she decides to make a pinecone craft for Petal. Everyone watched as Sweet Briar gave her craft to Petal. Petal had made a bouquet of paper flowers. She gave one to Sweet Briar. The other campers saw how beautiful Petal’s flowers were and she gave one to each of them. The campers realize how nice Sweet Briar really is, and they all become friends. Little Panda hides hearts all around the house, in the baby’s crib, by the dog’s dish, next to Mommy’s coffee mug, and in the mailbox for Grandma. Can anyone guess who’s leaving all these hearts? Daddy knows! Mommy and Daddy give Little Panda kiss and tell him, he’s their sweet heart.